Our weekends lately consist of baseball and softball games and running errands. This is an everyday casual outfit I wore over the weekend. You can't go wrong with distressed denim shorts and a bright white top. 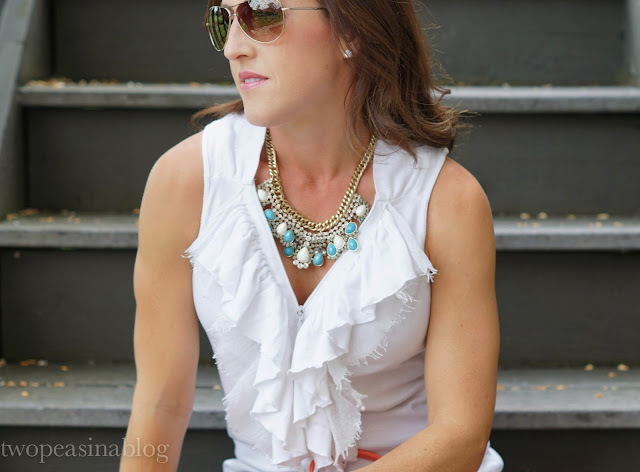 This ruffle tank is from a local boutique a couple years ago, but I have linked a few others that have caught my eye. In my recent Rocksbox was this fabulous Perry Street 'Ariana' statement necklace. 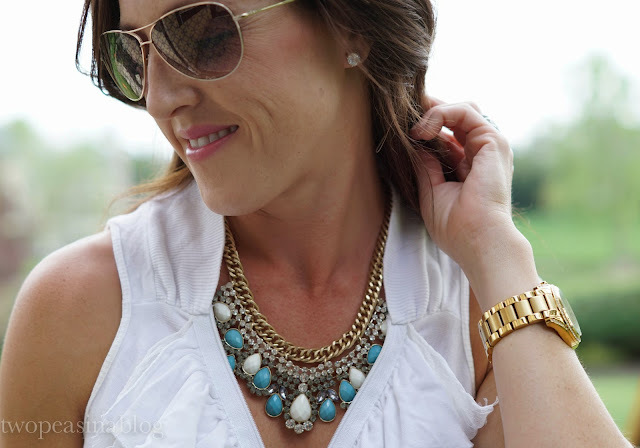 It's a perfect way to add some color to a basic outfit. 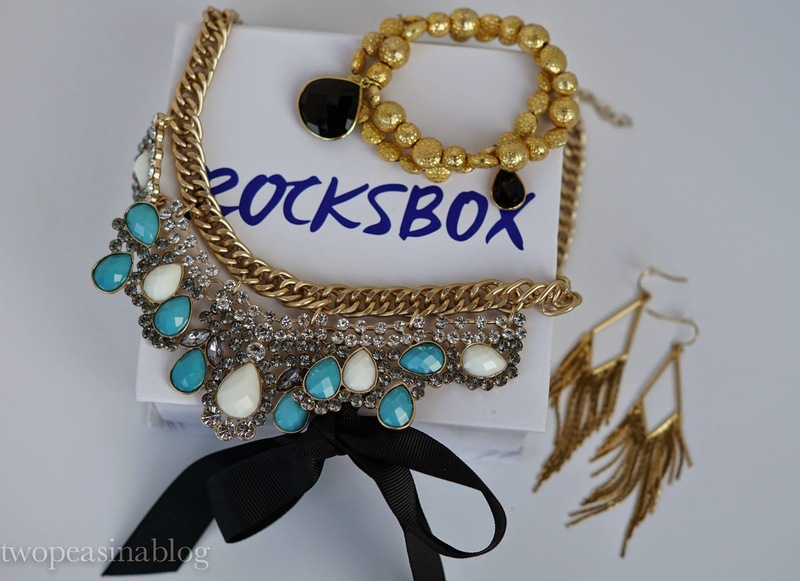 If you have been considering signing up for Rocksbox, I highly recommend it!! You can get your first month free using code: TWOPEASINABLOGXOXO. Then it's just $19/month for amazing jewelry! They send you a box with 3 pieces of jewelry. You can send it back anytime for 3 new pieces. If you love a piece, you have the option to purchase it. love this top--plus i need that bag in my life. i think it can hold everything i need!! A good tote bag is a must! It's amazing how much I can put in there.